Most people I meet and talk with about the Camino de Santiago, all have some pretty common questions. Did you get bed bugs? Will I get bed bugs? How do I know the bites are from bed bugs? How do you get rid of bed bugs? Yes, bed bugs can be gross and nobody wants to bring them home, but as someone traveling light on the Camino de Santiago, if you deal with them correctly, you should have nothing to worry about. Did you get bed bugs? Yes. Twice. Bed bugs hitched a ride with me somewhere around day 12. I got them again around day 25. My wife got them once too. Will I get bed bugs? Most likely yes. I would say about half the people I met walking the Camino de Santiago had experienced a bout with bed bugs. It is nearly impossible for an albergue to protect themselves from the constant stream of pilgrims and unexpected insect guests. How do I know the bites are from bed bugs? Just remember breakfast, lunch and dinner. Most bed bug bites are close together, in a row of 3 bites. They have had breakfast, lunch and dinner. My bites looked like mosquito bites but if your skin is sensitive they may be larger. How do you get rid of them? This is where a pilgrim has an advantage. The pests are hiding in your backpack, most likely in your sleeping bag. Bed bugs are very sensitive to heat so do your best to find a washer with hot water, a hot dryer and go to work. Wash everything in hot water (including the inside of your pack), then dry everything in the dryer. I used a hair dryer on the inside of my pack to scorch the tiny bugs which are nearly impossible to see. If you are hiking the Camino de Santiago during the summer consider leaving your sleeping bag at home. Instead buy a travel sheet and use that instead. You will enjoy a lighter back and an easier extermination process if you happen to get bed bugs. You can also go into the pharmacy and get some powerful bug spray to apply to your sleeping mat every night. I think this is more for piece of mind though and may be just as effective as mosquito spray is for keeping away a mosquito. You will most likely, especially as you enter Galicia, get questioned about where you stayed the previous night. 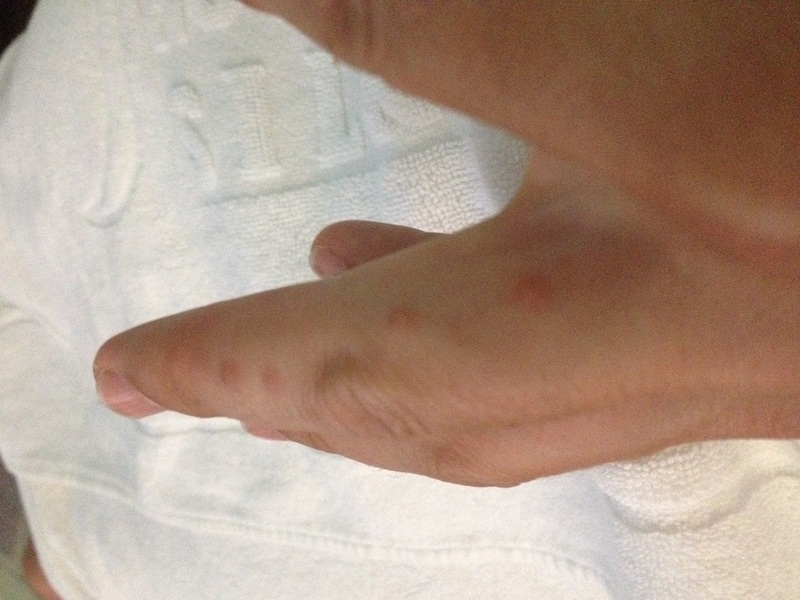 Some albergue owners may turn you way if you answer with an albergue that is rumored to have bed bugs. They may simply say they are full without giving you the real reason. Don’t take it personally. Overall, the idea of bed bugs, is worse than the experience. I am speaking for myself and my experience of course. They itch, they are numerous, but I likened it to falling asleep under the stars and waking up with mosquito bites on your arms and legs. As long as you don’t bring them home, the bark is worse than the bite.